Sweet Haven is a contemporary romance novel written by Dean Hodel. Lili Sanders was a goddess in the kitchen. She didn’t mess with the crudities of meat and gravy stocks; rather, she created airy and sweet marvels that her clientele loved to watch being created and reveled in sampling the finished product. Lili had found her niche in the three-star restaurant called The Superior Palate, and her customers went out of their way to get their favorite dessert creations. She was confused and not a little upset when she came in to work and discovered the kitchen in total disarray. Her work station, that semi-circle where she performed culinary feats of magic, was being moved out into the dining room at the direction of her boss and a slim, smart-looking woman. Lili was stunned when Peter Casaway, the restaurant’s owner, told her that they were changing the types of desserts being offered in an effort to project a healthy food image. Lili couldn’t help but get the gist of what he was saying. She was full-figured and would be safely tucked away out of sight and back in the kitchen. Lili instantly gave notice and left, feeling that her entire world had crumbled. Then she got a phone call. 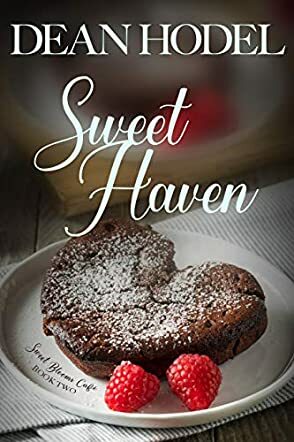 Dean Hodel’s contemporary romance novel, Sweet Haven, is as tasty and delectable as one of Lili Sanders’ marvelous dessert offerings. Hodel addresses the issue of body positivity and self-worth in this romantic comedy about a woman who creates heavenly desserts and the man who has spent a lifetime searching for her. Hodel’s characters are finely drawn and credible, and the plot works in so many ways, not least of which is Hodel’s ability to make those gastronomical treats seem to come alive for the dedicated reader -- I think I’ll try the lava cookies, please. While this is the second book in Hodel’s Sweet Blooms Cafe Series, it works quite well as a standalone offering. That said, I’m planning on reading Sweet Blooms, the first book in the series. Sweet Haven is most highly recommended.